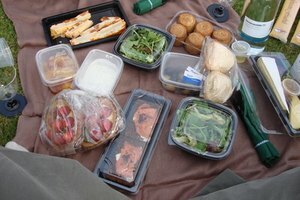 As the name suggests, coolers are typically used to transport food on -the-go, while keeping them cold. However, lesser known is the cooler's alternative use--keeping hot foods hot. Yep, that's right. Whether you're bringing hot food to a picnic or simply packing a hot lunch, a cooler might be the best way to transport it. To keep foods hot in a cooler, all you'll need are some towels and foil. Rinse the empty cooler with hot water to warm it's interior. Unroll foil on a flat surface. 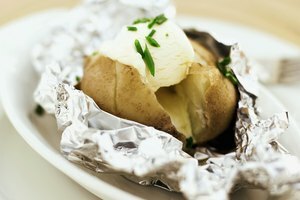 Place food in the center of the foil. Fold the sides of the foil across the food until covered completely. Wrap a second layer of foil around the food. Fold a towel in half twice and place it in the bottom of the cooler. Place food on top of towel. Fold another towel in half two times and place it on top of the food. 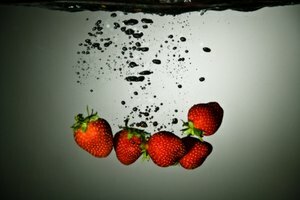 Do not allow the food or hot container to touch the sides of the cooler to prevent plastic from melting.